I was saddened to hear about another college student who died at the hands of meningitis. According to a report on NBC News, a 19-year-old Drexel University student, Stephanie Lynn Ross, died on March 10th from a bloodstream infection caused by serogroup B meningococcal disease. Currently, the meningitis vaccine that students are advised to get before attending college protects against four specific types of meningococcal disease — A, C, W135 and Y. Unfortunately, it does not protect against the B strain that sickened Stephanie. Bacterial meningitis is a dangerous infection of protective membranes that cover the brain and spinal cord. There are about 500 cases of bacterial meningitis in the U.S. each year, with more than a third caused by meningitis B. About 1 in 10 people who contract it die and another 20 percent are left with permanent disabilities. Interestingly enough, Stephanie’s death comes just months after meningitis made news on other college campuses late last year. Eight B strain cases were identified at Princeton University and four B strain cases appeared at the University of California, Santa Barbara. In fact, as Aaron Loyan, an 18-year-old freshman lacrosse player for UCSB was preparing to have both his feet amputated as a result of complications from the illness, several government agencies made a rather provocative decision. In an effort to contain the spread of this dangerous disease, the Centers for Disease Control and Prevention (CDC) decided to seek special approval from the Food and Drug Administration (FDA) to provide a vaccine that could offer the necessary protection to those students, faculty and staff on these campuses who were at the greatest risk of suffering from this particular strain of meningitis. The vaccine, which is administered in Europe, Australia and Canada, has not yet been approved for use in the U.S. but the FDA allowed this special use consideration due to the outbreaks that occurred on these two college campuses. Following this decision there has been a great deal of communication directed to parents, students and staff on these campuses to ensure that people had plenty of opportunity to ask questions and get their concerns addressed about the safety and efficacy of this particular vaccine. Overall the responses appear to be very positive. Reports indicate that at Princeton University, the first dose of the meningitis B vaccine has been provided to 5,471 individuals, representing 95% of those eligible to receive the vaccine. So far in January and February, 4,709 of these individuals (84%) received the second dose, which is needed to illicit the best immune response. 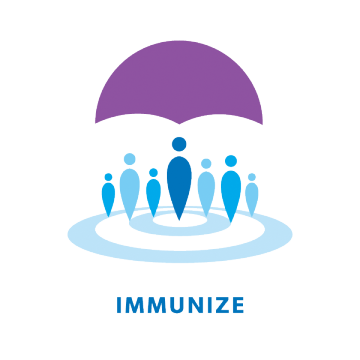 And Princeton intends to offer another immunization opportunity later this month. At the University of California Santa Barbara, nearly 50% of students have already received the first dose, with the second dose to be offered in April. In hearing about this devastating loss of yet another college student from B strain meningitis I’ve had some mixed emotions. I’m appreciative of the all the special efforts that have been made to protect the students at Princeton and UCSB following the recent outbreaks. At the same time I’m concerned that more students are at risk of succumbing to such a dangerous disease. As the parent of a college bound senior, it worries me that we will likely continue to see the loss of life and limb from serogroup B meningococcal disease. Yet, a new vaccine that offers broader coverage and greater protection for our children is still awaiting approval before it can be offered to children here in the U.S. I’m hopeful that the approval process will move along swiftly and without delay because that is our best chance at preventing any further loss of life. For those of you who will be sending your kids to summer camp, boarding school, college campuses or sports clinics this year, I suggest you make a point to have them receive their meningitis vaccine sooner rather than later. I can’t wait until we have a meningococcal vaccine that also covers B available – also for young children, please. This is a very, very frightening disease. That is horrible – my condolences to the family as well. I hope that the FDA is able to move through the process to get the new vaccine approved for wider usage. RIP, Stephanie Lynn Ross. It is sad & extremely insane so many are still being injured & killed because of beLIEf in vaccines in this day & age. One would think we would have come out of the dark ages by now. “The CDC announced on June 8th that they are almost at the finish line of global polio eradication. LINK HERE. They’ve not had a case of wild polio since January 13, 2011. Whoopee! But they still have plenty of paralysis. In fact they have more and more every year. AND …children with non-polio Acute Flaccid Paralysis(AFP), the new name for polio, are at more than twice the risk of dying than those with wild polio infection! In fact, more oral polio vaccine has correlated strongly with “non-polio” AFP. One must wonder what exactly the WHO, UNICEF, Rotary International and the Bill and Melinda Gates Foundation are really going for. @Marsha – you are a sick, sad excuse for a human being, posting your lies here. Considering that I had a sister who almost died from meningitis, I can say that you are unqualifably a sadistic monster, who would rather have people suffer from VPDs than preventing them from getting it in the first place. Also, considering your conspiracy-theory mongering at your Facebook page, I think anyone with a rational mind and dismiss your rantings as nonsensical and can dismiss your “arguments” as such. My condolences to the Ross family, for their profound loss.